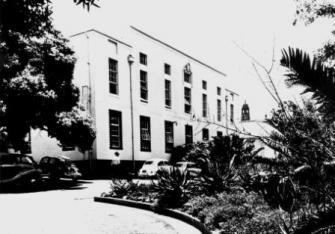 The National Herbarium dates back to 1903 when Joseph Burtt Davy, the first agronomist in the Transvaal Government, founded the Herbarium in the Volkstem Building in Pretorius Street, Pretoria. His first duties included extensive journeys to farms to take note of forage and toxic plants and to collect indigenous vegetation. These were to form the first herbarium specimens. In 1912 Dr. Illtyd Buller Pole Evans succeeded Burtt Davy, at which time the section moved to Vredehuis below the Union Buildings. The whole collection was housed in a room 12 x 5 m big. Pole Evans undertook extensive collecting trips throughout southern Africa and his specimens are still in the collection today. Dr. Edwin Phillips was appointed as curator of the Herbarium in 1918, the year the National Herbarium was named. The Botanical Research Institute still formed part of the Department of Agriculture at that stage. 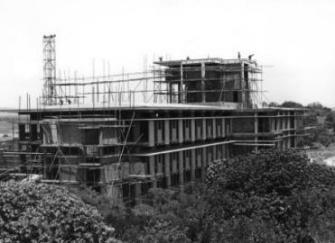 The current herbarium building was erected in 1973 to house the ever-expanding collection. In 1991 the BRI amalgamated with the National Botanic Gardens of South Africa (Kirstenbosch), to form the National Botanical Institute. The National Botanical Institute is the forerunner of South African National Biodiversity Institute. The collection of the National Herbarium has been extended by several valuable collections over the years. These include the collection of E.E. Galpin, the herbarium of the Transvaal Museum (TRV) and more recently the Saasveld Herbarium and the Forestry Herbarium (PRF), making it the largest herbarium in Africa today. The National Herbarium is proud of its heritage of over 100 years of plant science, and we proudly keep up the high standard of work as the leading institution of plant diversity in southern Africa.